Advanced picture refinement technologies - Picture quality is boosted by advanced processing featured on Sony home cinema projectors. Reality Creation uses a powerful pattern-matching database to optimise every pixel. Contrast Enhancer actively analyses and refines dark and light image areas for sparkling highlights and rich, deep blacks. Crisp, detail-packed WUXGA resolution images - See the finest detail in PC presentations, videos or multimedia signage with WUXGA (1920 x 1200) 16:10resolution. Up to 20,000 hours operation with virtually no maintenance - The advanced laser light source offers a typical 20,000 hours operation without lamp exchange, reducing lifetime running costs compared with traditional projectors. Hassle-free automatic filter cleaning - Focus on great-looking images instead of arduous maintenance tasks: new automated filter cleaning system removes dust every 100 hours. Energy saving features - Reduce running costs even further with convenient energy-saving features: Picture Mute and Auto Dimming. Save time with every presentation - Quick power On/Off dramatically cuts warm-up time after switch-on before you can start presenting at full brightness. 360° free-angle installation capability - Enjoy greater installation flexibility: position the projector freely at any angle – or its side or even upside down. 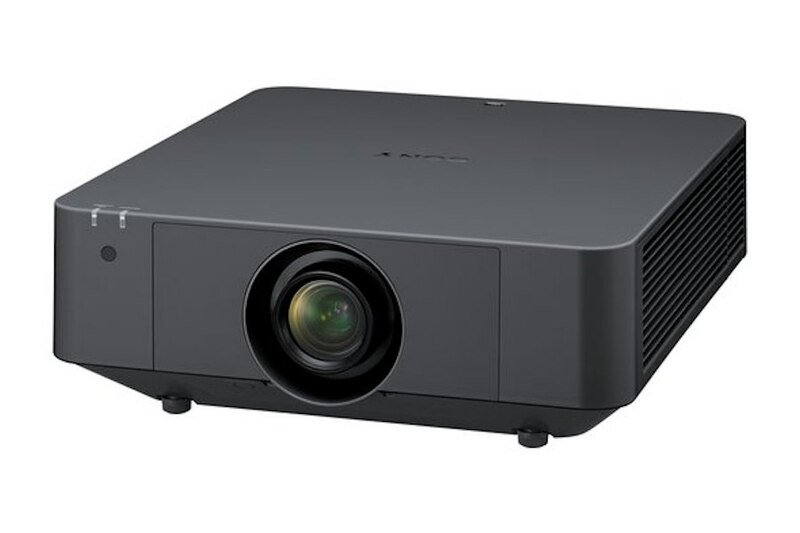 Powered Wide Lens Shift - Generous lens shift adjustments give more flexibility for positioning the projector where you need it: close to ceilings or even horizontally offset. Included powered standard zoom lens plus wide choice of lens options - Installation flexibility is increased by a wide range of compatible lens options to suit virtually any size of room and throw requirements. New quick-release bayonet mount simpifies quick lens exchange. Supports HDBaseT - Simpler, more cost-effective installation and connectivity with digital transmission of HD video, audio and networking/control over a single Ethernet cable. Create super-size displays with Edge Blending - Seamlessly join accurately colour-matched images from multiple projectors, simplifying creation of stunning super-size displays for corporate and education. Project onto non-flat surfaces with Image Warping - Easily correct image geometry for natural-looking projections – even on convex or concave surfaces. Corner and edge correction can be easily adjusted with the supplied remote and on-screen menu. Quiet operation - Low fan noise ensures discreet, unobtrusive operation in quiet environments from museums and galleries to lecture theatres. Slim, attractive new blend-in design - The slim, stylish case design features a flat top surface that blends in discreetly when the projector is ceiling mounted. The clean appearance is accentuated by a new terminal cover that reduces cable clutter. Picture Mode - New Picture Mode ensures great-looking pictures in any presentation conditions. Select Standard, Dynamic, Brightness Priority or Multi Screen mode for optimised image quality, with any source and in every room. Project Side by Side - Project images from two inputs at the same time: ideal for applications such as video conferencing and medical training where two images need to be seen simultaneously. The laser light source allows a rated 20,000 hours of maintenance-free operation without the worry of sudden lamp failures. A new automated filter system cuts the hassle of regular dust cleaning. Near-zero maintenance needs are complemented by a range of energy-saving feature, significantly driving down total lifetime ownership costs. Lamps can blow, if you need your projector working and can't afford down time, you may need to keep a spare lamp. 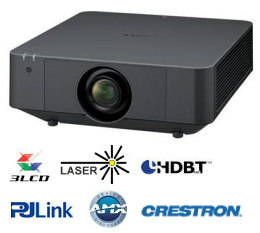 The replacement projector lamp for the Sony VPL-FHZ57b is the No Replacement.